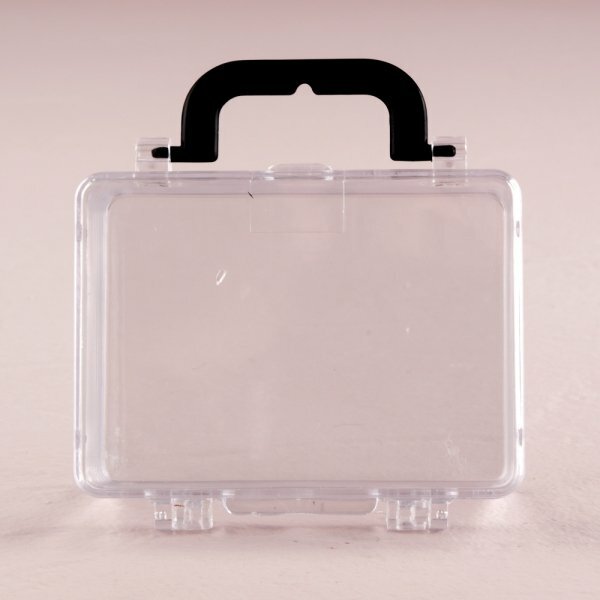 These clear little plastic suitcase-shaped containers have black handles and are sold in sets of 6. 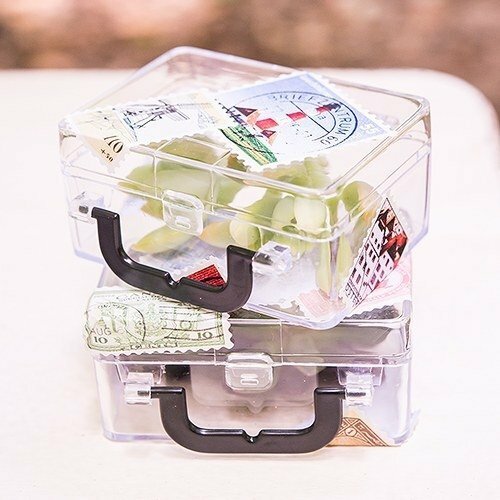 They are super versatile....fill them with any number of things for your guests...candies, small gifts, keychains....whatever you choose for your suitcase party favors. 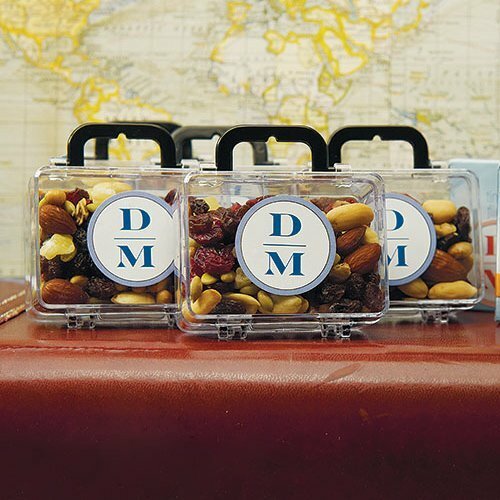 The photo shows them filled with white mints and embellished with one of our many travel themed stickers or travel themed hang tags (must be purchased separately). They are great for destination weddings! 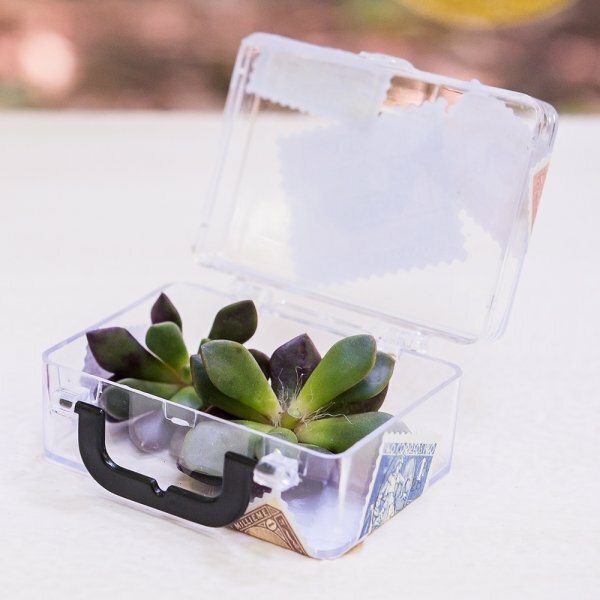 Product dimensions: 3 x 2" x 1 1/2". Container only. Contents and decorations sold separately. 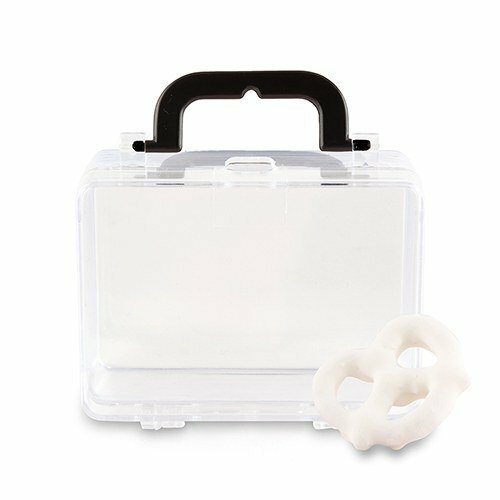 Yes, we currently do have enough stock for 500 pieces of this item so you need to order 84 sets and the price is $8.77 each. Also, you can enter your zip code in the Delivery Time below the product description to get the estimate delivery date. How do i personalize the suitcase party favor stickers at checkout?